What to do about a Bleeding Mole? My wife and I went hiking yesterday. It was a nice time to talk and get out of the house together. 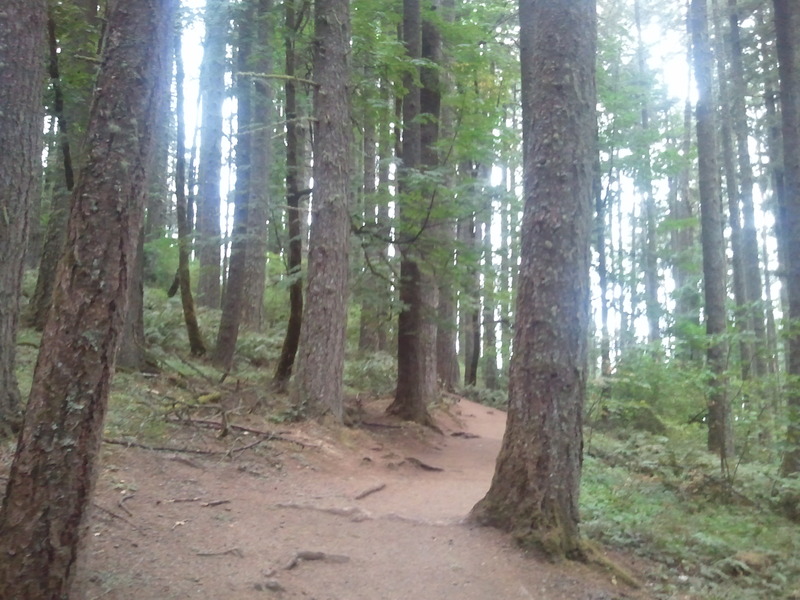 One of the interesting things is that we happened upon a small ball of black fur wobbling across the trail. I was surprised to discover this was in fact a mole… wobbling back and forth… on top of the ground. I have seen moles in displays at the zoo. But for obvious reasons I have not seen a mole in the wild before. We watched it for a few moments. It was wobbling back and forth across the trail and it was cute at first. 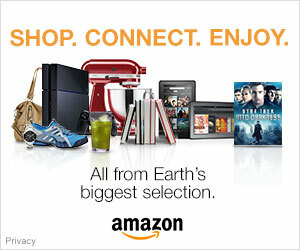 But as we watched it became apparent something was wrong. My wife saw some blood on the mole’s nose. Perhaps it was stepped on by an earlier hiker or dog? What do we do with a bleeding mole? It was cute, but we did not have the time or the funding to bring it home to attempt to nurse it back to health (and we have three cats in our house). 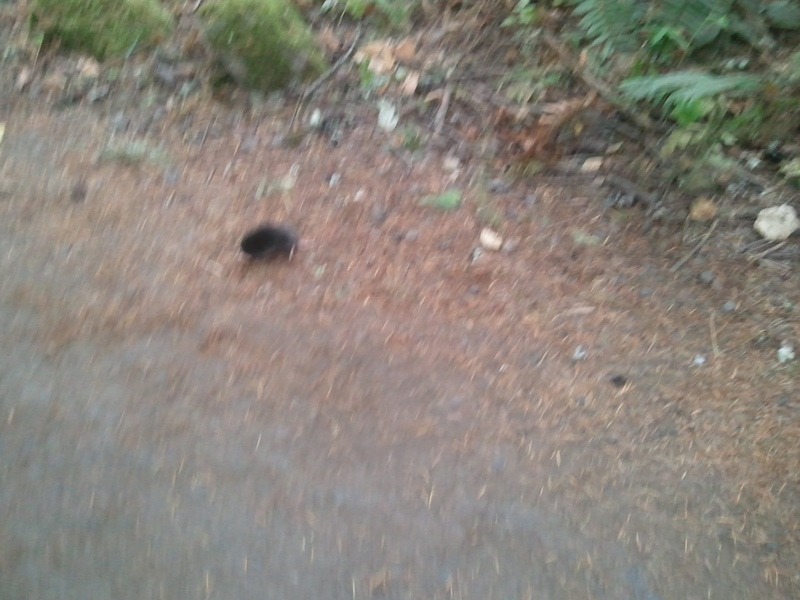 My wife felt like it was wrong to leave the mole on the trail where it was just wobbling back and forth. But, it’s not like we could take it to a veterinarian either. 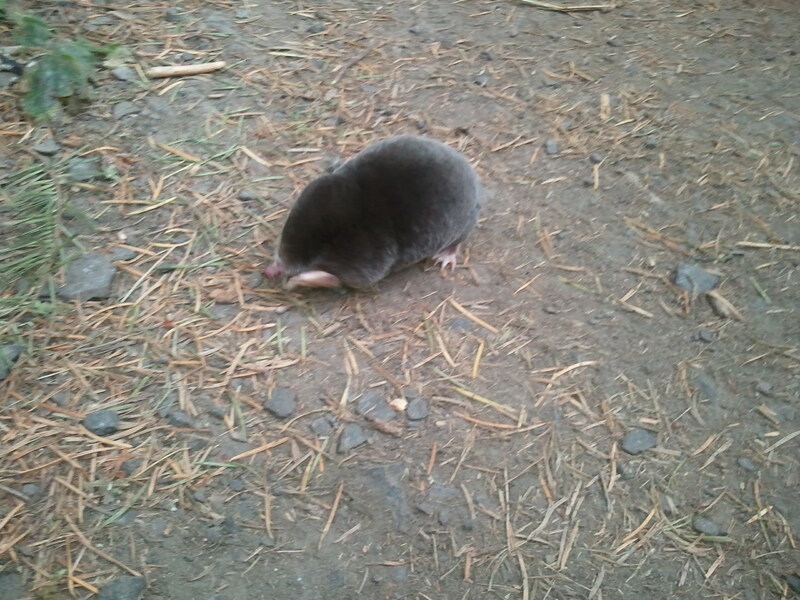 So my wife picked the mole up with her jacket, and carried it away from the trail and set it down in the woods. At least here it would not be stepped on by unobservant hikers (hopefully)… and it would also be under some cover from potential predators.